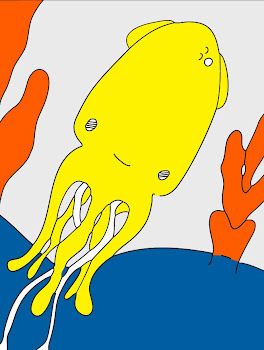 Technicolor Squid: Darn. Soon I Hope. Hi Lovelies! This is a quick note to say that Etsy is still being perfected and I will wait until it is ready before showing you my few little goodies. In the meantime, I will have to do a little painting so that I have something to show you a little later (hopefully tonight). I am getting a new order ready for Mahar Drygoods and I am also working on several packages for lovely people who I desperately need to send things to! Our car may not be repairable, so I am afraid you may hear a bit more about the outcome of that. I am feeling very disconnected, but still thinking of you all! Hugs! xox=vv.